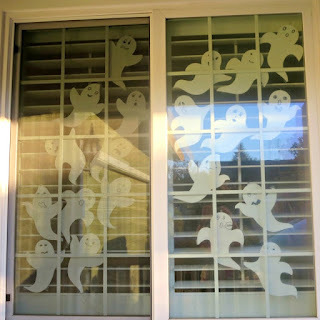 It's October, and it means that our house gets decorated for Halloween. 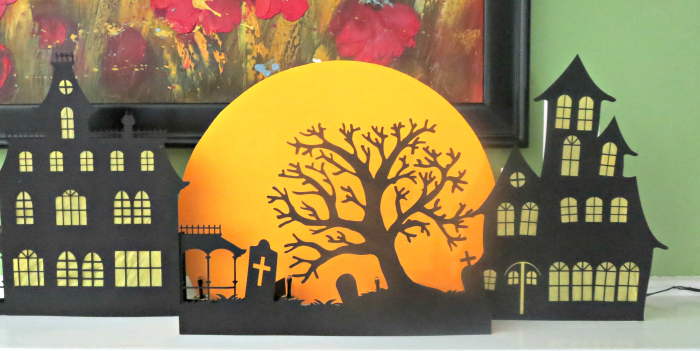 While we are not going all out with skeletons in our front yard, we do like to get in holiday mood with our DIY Halloween indoor room decorations. Disclaimer: I am an Amazon associate, and this post contains Amazon affiliate links. For full disclosure, please click here and thank you for supporting my blog! Smarty loves this yearly project of adding more ghosts to our kitchen window. 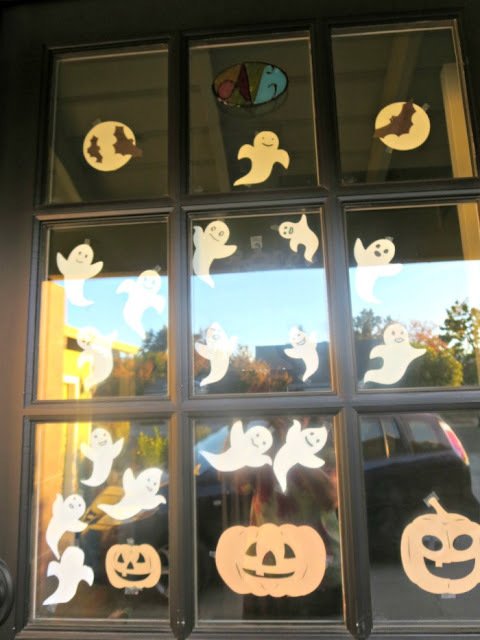 This is basically her part of Halloween decorations - she cuts the ghosts, draws faces and arranges them on the window. Our other decor element is a seasonal tree. It's really a bunch of twigs in a vase, which gets decorated every season with paper cutouts, clay decorations, and, in case of Easter, with Easter eggs. 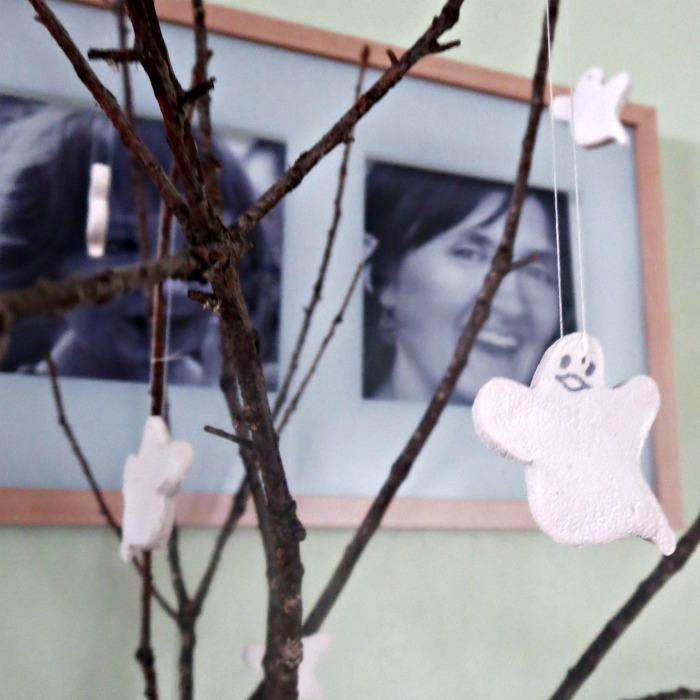 Smarty likes to contribute to our collection of clay decorations and then put them on our tree during change of seasons. My husband bought a string of Halloween LED lights at a Dollar Store with the initial idea of adding a Halloween touch to our winter village. 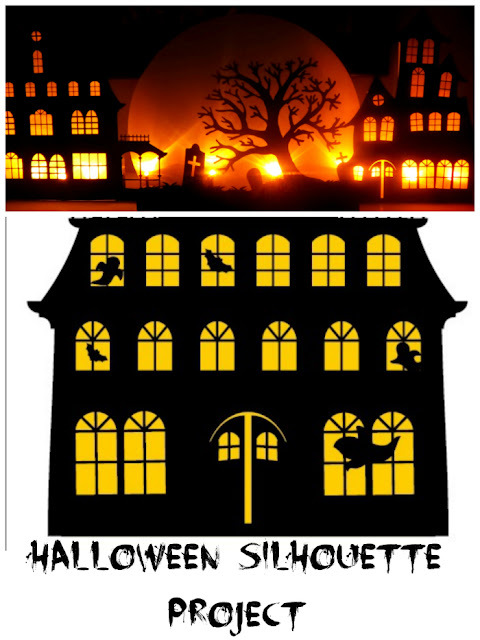 However, he was disappointed with the results and decided instead to create a simpler 2D Halloween scene using his Silhouette Portrait. He looked for inspiration online, but designed his own scene that you can see on top of this post. In the end, his scene ended up to be somewhat 3D as he had to add a "light box" behind the houses to direct the light to the windows. 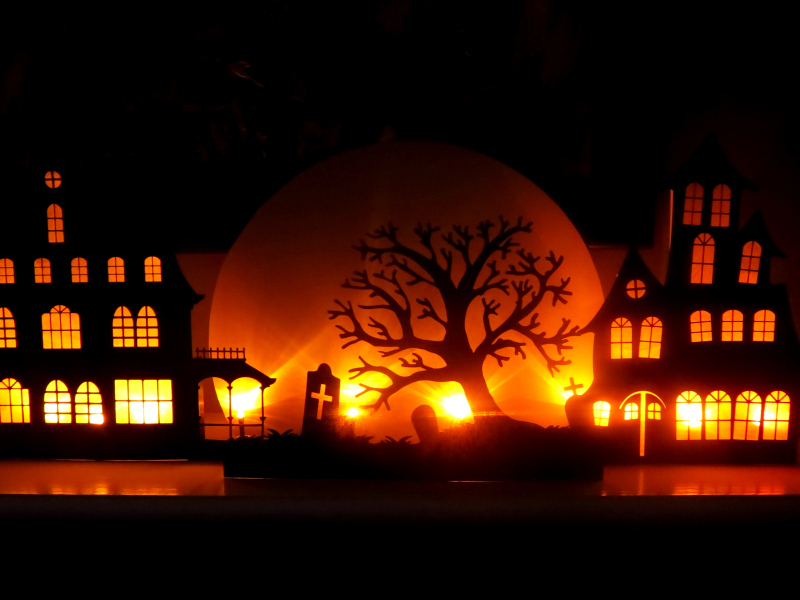 I quite like how it turned out - our house is quite ready for Halloween now! My husband volunteered to share his house with my readers. 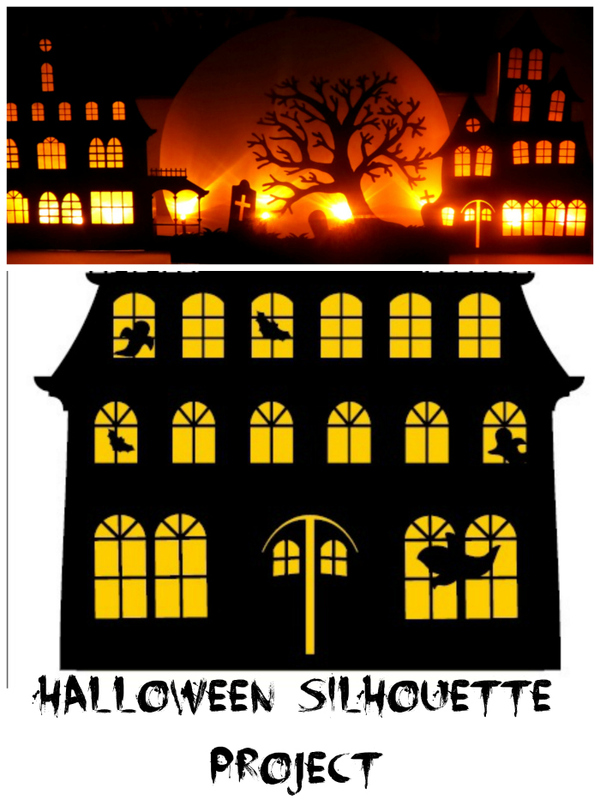 Get this free Halloween house silhouette printable here. 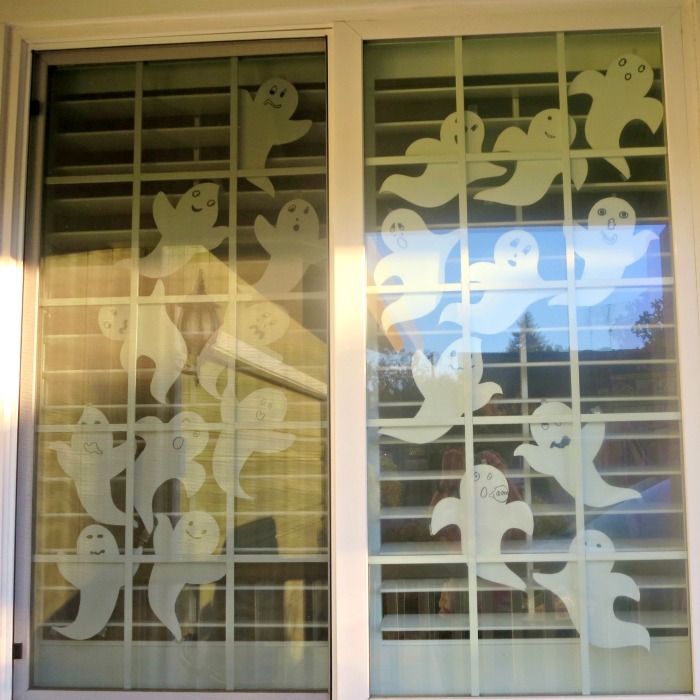 Those are some great Halloween decorations! I've got a Silhouette that sits there pretty much unused because I've discovered that type of crafting is not my style.